Pamelyn Ferdin may have been the busiest young performer in television in the 1960s and the 1970s. 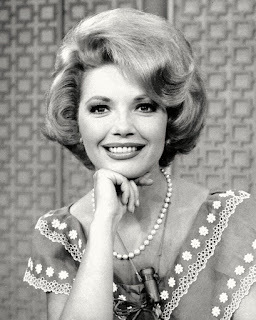 She made her TV debut in 1964 at age 4 and was soon cast in series like Bewitched and The Andy Griffith Show. 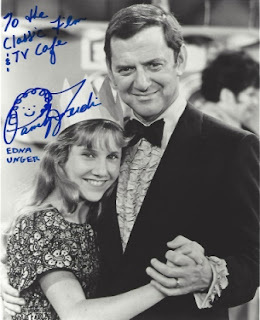 She had a recurring role as Edna Unger, Felix's daughter, on The Odd Couple. She was later a regular in TV shows like Blondie, The Paul Lynde Show, and Space Academy. 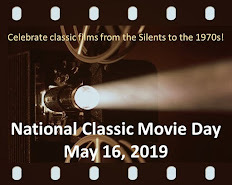 Ms. Ferdin also made several memorable guest star appearances in series such as the original Star Trek and appeared with Clint Eastwood in the 1971 theatrical film The Beguiled. Still, she may be best known for providing the voice of Lucy in two Peanuts specials and the movie A Boy Named Charlie Brown. She took a break from acting at age 20 and became a registered nurse (which is how she met her husband of 30 years, who is now a retired surgeon). She is an active promoter of animal rights. Ms. Ferdin kindly agreed to an interview recently at the Western Film Fair and Nostalgia Convention. Café: You grew up in show business, having made your first appearance in a TV series at age 4. How would you compare your experiences as a child star in the 1960s with the young performers of today? Pamelyn Ferdin: I think I'm lucky because I was involved within the acting industry at the tail end of the great studio era. There were just a certain amount of studios out there and they still had commissaries that were filled with stars and starlets and you knew everybody at the studio. You would go out on interviews right in the studios. You knew the casting directors. You knew the directors. It was all very family oriented. Today, with all the studios, you don't even get to meet the casting directors any more. It's not a family at all. It's just too enormous to be a family. I think I grew up in a much more loving, sheltered environment than the kids who are acting today. Café: You guest-starred in a memorable episode of the original Star Trek series: "And the Children Shall Lead." How did you get the part of Mary? PF: Well, I just went out on it like hundreds of other little girls. I read the script and I was lucky enough to get the part. It was fabulous; I had so much fun. 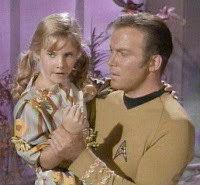 I had a big crush on William Shatner and I followed him everywhere. Finally, I think he got so tired of me pestering him that he sat down with me and started talking and we became good, good friends. In fact, he asked me to marry him and I was thrilled. He gave me a little cigar band for a ring. It was wonderful. He was the first crush I ever had when I was a young actress. Café: You appeared in some of the most popular TV shows of the 1960s, ranging from The High Chaparral to Green Acres. Did you have a favorite among your guest star roles? PF: That is a loaded question because so many of those shows were wonderful. I worked so much that sometimes they blend together. I didn't have that much time in between. But I would say The Odd Couple is definitely an outstanding memory because Jack Klugman and Tony Randall were so much fun to work with. Green Acres was also great because I got to know Eva Gabor. She had this chair that would turn you over on your head. She let me try it. She was a doll. Café: My favorite of your performances was as Amy in The Beguiled, one of Clint Eastwood's early films. How would you describe working with director Don Siegel? PF: Don Siegel was great. He treated me like an adult. I had been in the business for so long that I really was a very professional adult even though I was a kid. I was a teen who knew my lines, was prepared, and didn't kid around. I was very serious about my work and I think Don Siegel really appreciated that. It was a hard film. We were on location in Louisiana for six months. It was hot and humid. I think he appreciated my ability to be just one of the other actors and not have to baby me or treat me in a special way to get me to say my lines. I was prepared every day and I think Clint Eastwood appreciated that, too. Café: How did you get along with Clint Eastwood? PF: He was wonderful. He had children about my same age. He was a little bit homesick at the time we were in Louisiana. It's really just him and me at the beginning of the movie. In between scenes, he would talk about his kids. He called me his "little dove." At the end of the movie, he gave me two doves to keep. Café: You played Paul Lynde's daughter in The Paul Lynde Show in 1971-72. What was that experience like? PF: Paul Lynde was a crack-up. He could be very funny when working, but he was a very serious person. He could turn it on and turn it off really quickly. Most of the time I was on the show, he was extremely serious. The only time that he was really funny and was a cut-up was when he was actually playing his scenes and doing his lines. But if you would go up to him and have a conversation, he was not the Paul Lynde you saw on The Hollywood Squares. He was a very serious man of few words. He really didn't like to talk that much. That was surprising to me because I always thought he would just be having fun the whole time, but he was not. I don't think he was happiest person. 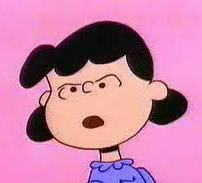 Café: How did you come to be cast as the voice of Lucy in two Peanuts specials and the movie A Boy Named Charlie Brown? PF: I went to my agent at the time and she gave me a script to read. There were dozens of other little girls who got the same script. We went into a sound booth one at a time and we read the script. I didn't want to play Lucy as a mean girl. I played her as frustrated that she was so smart and Charlie Brown didn't get it. When we were done, all the voices were sent up to Charles Schultz. He was the one that picked me as the next Lucy. He once told me: "You captured Lucy better than any other Lucy we hired." Café: You've compiled an impressive resume with Star Trek, The Beguiled, Peanuts, and the cult sci fi series Space Academy. Which of your films or TV series seems to be the most popular with your fans? PF: I would say Peanuts. People absolutely love Lucy. I would say the next one is between playing Tony Randall's daughter in The Odd Couple and Star Trek. Café: Are there any upcoming projects you want to tell our readers about? PF: I'm thinking about getting back into the acting business. So many of my fans have begged me to get back into the industry. I'll have to let you know about that one. You can learn more about Pamelyn Ferdin at her web site www.pamelynferdin.com and you can follow her on Twitter as @PamFerdin. Thanks for a great interview, Rick, and thank you to Ms. Ferdin. This was fun. What an awesome interview! Pamelyn Ferdin did some incredible work, beginning at a very young age. Her stories were interesting to read and it was fascinating to learn about her work in medicine and caring for animals. Thank you so much for stopping by the Cafe, Ms. Ferdin! Pam Ferdin has been charming and delighting us for a half century, and she is still so beautiful and energetic. She will make a lot of fans happy if she returns to the big, or small screen. I remember Pam from "The Curiosity Shop". I even had a crush on her (tee-hee). I always remember Pam from The Brady Bunch episode about Jan getting a wig. It also had Marcia Wallace as a saleswoman. Also as the voice of Fern in Charlottes Web. I always liked her voice. Beware the Boggy Creek Monster!